LeTroLaq Tooling and Assembly (LTL Tooling Assembly Wisconsin) is rapidly becoming the biggest little name in Pneumatic Hand Crimpers in the industrial marketplace today. Our main focus is on tooling and machine design for the wire terminating industry for automotive, military and other industrial applications. Uniquely suited for small in-house, limited production or development, and prototyping as well as larger operations, at affordable prices. 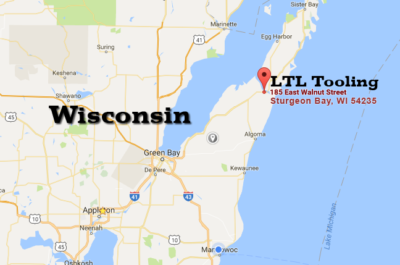 We are located on the Western shore of Lake Michigan in Sturgeon Bay, Wisconsin.